» Leb wohl, du kuhnes, herrliches Kind! » Erhebe dich, Genossin meiner Schmach! 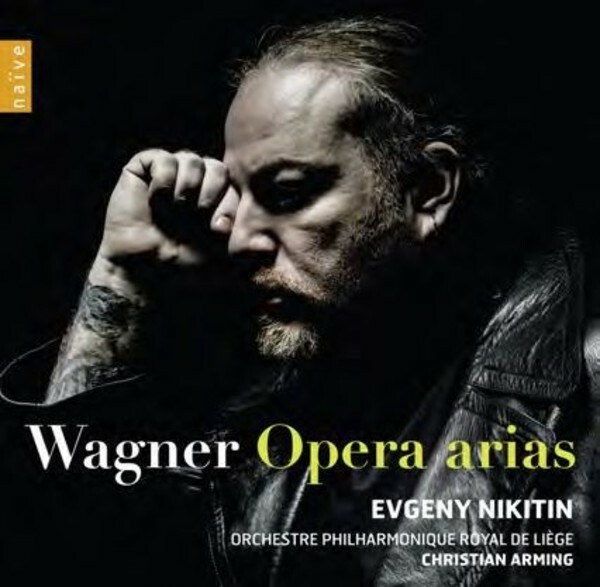 Under the direction of Christian Arming, celebrated bass-baritone Evgeny Nikitin interprets some of his favourite Wagnerian roles. These selected pieces highlight the extent of the vocal possibilities that this Russian singer, a pillar of the Mariinsky Theatre, has delivered since his debut as a student, under Valery Gergiev, and that regularly triumph at the Met, the Paris Opera and in Munich. Nikitin hails from Murmansk, in the very north of Russia. His first love was to compose, sing and play drums and guitar in heavy metal bands, but his vocal gift has taken him in a very different direction. He was accepted at the Saint Petersburg Conservatory in 1992 and was soon combining his studies with his first solo engagements at the famed Mariinsky Theatre under Valery Gergiev�s direction. It wasn�t long before he was invited to major theatres and festivals through Europe, the Americas and Asia. 2002 marked his debut at the Metropolitan Opera in 'War and Peace'.